Yesterday I picked the last of the elderberries off the bush in the back yard. They are so beautiful that it is difficult to take them from the umbel. Currently, they are spread out on the counter of the island... deep dark pearls, perfect and round, heavy with juice and medicine. I have often written about how important we feel it is to have plenty of elderberry in the house for the winter. At this point, it would be just about unthinkable not to. Just yesterday we stopped at an Amish roadside stand for something, and although I'm well stocked, I checked their supply of elderberry jelly. Now that is one instance where a spoon full of sugar really does help the medicine go down. A few weeks ago a friend of mine who is very experienced with herbs (although not so much medicinally) asked me to explain how to make a tincture (aka extract) and it made me realize that lots of people might want to know. This method works for just about any herb you'd want to tincture. For home use, I don't worry too much about percentages and such. Some herbs require a higher amount of alcohol or more water to better extract the properties. We just plunk the herb in the alcohol and so far, we've been very happy with the results. 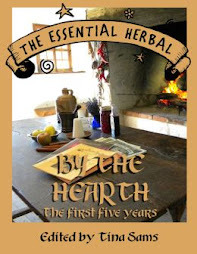 One of the benefits of making a tincture with alcohol (others can be made with vinegar or glycerine & water) is that it is preserved for years and a 1/2 teaspoon or so in a swallow of juice is an efficient way to take a dose that is quickly absorbed. If you prefer not to make your own, you can find it here. Gather ripe elderberries. Around here that means that one must also turn over the umbels and flick off the stinkbugs that live among the berries. Choose a jar that will hold the berries that you've cleaned, and pour in the berries. We save jars during the year to make our tinctures in the fall and spring. If you like, you can muddle the berries at this point so that the juice will more easily release into the the menstruum (alcohol) when it is added. Cover the berries with alcohol. What kind of alcohol? This preparation is to be taken internally, so that means the alcohol must be something that can also be for internal use. Most herbies use vodka, but not all. Brandy is used, whiskey, and sometimes whatever is in the house. I've been known to grab gin or rum if the herb was ready and that was all that was available. It is more about the alcohol, and the ability to preserve. If grain alcohol is used (not available in my state), add some water to the mix because most herbs need some water in order to extract well. Half and half is a good blend. Personally I use the cheap vodka because chances are I will go through a couple of gallons in the fall. This doesn't mean that I'll actually use all of that tinctured vodka over the winter, but I will have lots to share with my family and friends as the cold and flu season goes on. Elderberry - I make at least a quart! Holy Basil - that's another quart or more. 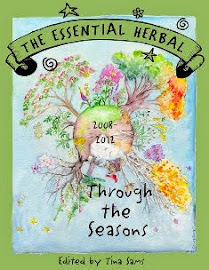 And then there is Echinacea, Chamomile, Passion Flower, and Vitex. I could go on and on - but you get my drift. There are varying opinions on how long to allow tinctures to sit. Some people tell you to shake it daily, as well. So, I'll tell you my method, and you can come up with your own. I put my jars in a out-of-the-way corner of the kitchen during this season to keep an eye on them. It is dimly lit in the corner. As things wind down, I'll be sure they are all well labeled and then as the frost hits, the jars will all go in the cupboard above the corner counter. I don't strain them, nor shake them. They are done until we need them. At that point we will strain them off and use them. This year, if you haven't tried making a tincture before, just do one. You'll be successful, of that I am certain, and if you'd like to purchase them instead, visit our web shop. 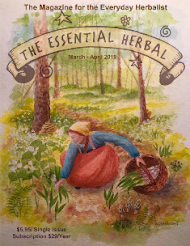 If you've enjoyed this instruction, consider a subscription to The Essential Herbal Magazine, where we discuss the simple, pleasant ways we can incorporate herbs into our lives everyday. 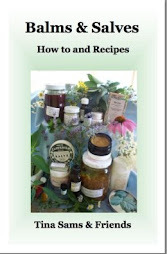 Great tincture tutorial! I make mine very similarly. We adore Elderberry around here, too. I'm so exctied: I have elderberries growing wild on "the wild acre!" I thought that's what they were but wasn't certain until I saw this post. I will definitely make a tincture and might even get started before work today. Janiece - you've made my day! I just love it when someone finds a treasure on their travels OR on their land and is ready to try making something. LOVE it! I did try the freezing method to remove the berries from the stem and compared to trying with fresh, I am impressed! I only got a few stems per cup of berries and the other neat thing is that because they were frozen I got fewer squished berries! And then I just popped them back into the freezer until I have time to deal with them,since I have a kitchen full of produce to put up. I have a question.. In one of our chat in Facebook you mentioned that the berries didn't have to be dark purple, could you elaborate more on that? What is your experience on that? I have passed over lushes umbels because they wheren't dark yet but they where darker red than most cranberries. Thank you in advance. Well, this picture makes them look a lot lighter than they are. I have one bush that yeilds pure black berries, another that is pretty dark, and a third with berries that are ripe when they are the color of wild black cherries. Maybe I was talking about the reddish variety on the West Coast? I usually dry my elderberries first while still on the umbrel and then pick them off. It doesn't work well that way either! Probably doesn't matter much if you get stem in your tincture though. I use them dried more often than fresh for tincture, really. Since the water loss makes them about 1/4 of their size, it just seems that there is a lot more in the jar. Jenny, I think it's important to remember that "toxic" has a spectrum of meanings - from a little tummy ache all the way to fatal. A few of the tiny hair-like stems in your tincture isn't going to hurt anything. I try to pick them out with a tweezer, but really just give them a good once over - taking out unripe berries, stems, etc. So glad I came across this - I think from Aromaweb to Sunrose then to you, but I also think we're on a few of the same Yahoo groups. 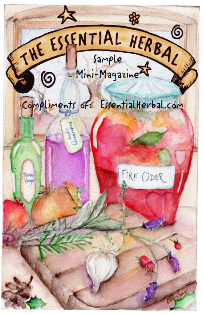 Anyway - I have made some tinctures over the summer using dried and fresh herbs. I see that you said you didn't strain yours. I haven't strained any of mine either and they've just been sitting there for quite a few months. I'm assuming then, that it is okay not to strain them and let them continue to sit - I used high proof alcohol and water, so I'm probably not going to have to worry about it going bad? Thanks! some herbs (echinacea comes to mind) tincture better with a higher proof, meaning that more of the constituents are drawn out with a higher percentage of alcohol. But for personal use, 80 is fine. It isn't really a question of going bad - they'll keep for years and years! Great post. I love this blog. I am glad I found it! I just came across this blog and thinks it's great! I live in alaska and have many red elderberry bushes(trees) in my yard. From what I've reading in the net they aren't the ones to use for tinctures. Does anyone out there know for sure if this is true? I want to make a tincture with the flowers and then some with the berries. I haven't been able to find much medicinal information for the red berries :-(. They need to be cooked prior to use, and the seeds strained out. They have a toxin that is removed in the cooking process, but I'd still remove the seeds. Thanks Tina I found a little more info that says the same about the berries and that the flowers are also not poisonous. Any suggestions on a good place to buy elderberry bushes for planting this fall? Thanks so much for all you do!!! For those of us who don't live near where elderberries grow, where could we buy them? Check out our display advertisers in the right margin. Blessed Maine, Mountain Rose, and Radiance all carry them, I think. Once they have been strained from the alcohol, could they be reused for a punch bowl? I think they would look so pretty and would add such a punch of flavour! A little bit out there...that was refreshing!